Over the last decade, there has been a significant rise in accusations and convictions of elder abuse. As the median age demographic of America shifts upward and there are more and more seniors, the culture has become more attentive and sensitive to the care and well being of our seniors citizens. Unfortunately, with the rise in accusations, there is an understandably parallel rise in those people who are then falsely accused of elder abuse. As a caring and compassionate caregiver, it can be both humiliating and devastating to be wrongly accused. In situations like these, you need an equally compassionate and experienced Southern California elder abuse attorney to protect you or your elder care business from your accusers. Were You Wrongly Accused of Elder Abuse? You may be wrongly accused directly by the elderly person you are caring for. The sad fact is, the senior may be truly convinced that you abused them in some manner. This is quite common. Often, the mental condition of a senior causes them to be erratic or demonstrate inconsistent behavior. Sometimes they may be loving and kind while other times they become anxious, angry or lash out. They may tell other family members, their friends, or confide in their doctor that they are being abused. The doctor, in particular, must then report the claims of abuse even if he or she doesn’t believe the claim. Upshot? The elder person may be convinced in their own mind that they are being abused and also may then convince others to believe their accusations. 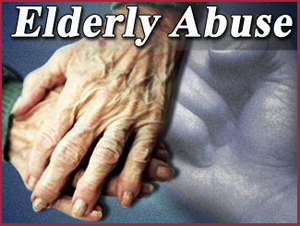 It is also common for other family members to make claims of elder abuse. Often their motivation may be one of greed as they look ahead to the future where there may be money and property to inherit. They may be suspicious of the influence they assume that you have as a fist-hand caretaker and try to discredit you, or worse. If family members begin making calls to local elder protective agencies, the situation can escalate to actual criminal charges leveled against the caregiver. While the stereotype of “elder abuse allegations” usually focus on family members or paid caregivers who deprive or injure the alleged elder victim physically, more and more common are elder abuse allegations focused on financial abuse charges. This is when a family member or a paid caregiver takes advantage of an elder or ailing elder family member by improperly stealing cash or property including draining the elders account(s) using their ATM card or accessing their checking and saving accounts to personally enrich themselves. Often it goes to the extent of getting the elder to sign a power of attorney document placing the caregiver in charge of all of the elder’s assets. Often times the exploitation of seniors is very real and the money and property transfers are significant. Every month there are court cases where it is proven that some caregivers have been convicted of criminal wrongdoing. Many of the more dramatic cases demonstrate that caregivers had persuaded seniors to sign documents under false and misleading pretenses or actually forged documents where the senior essentially signed over their homes and other significant assets to the caregiver. While some of these cases are very cut and dry, many are not! 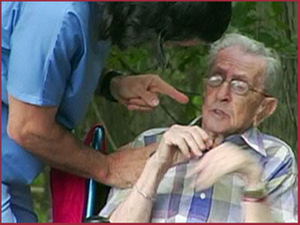 Many elder abuse cases that revolve around money, property and other assets involve disputed facts and verbal promises among siblings of the elder person requiring a proper investigation to establish the real facts. Family dynamics, as complex as they usually are, mean that there is no way that these cases can be settled in or out of court without expert outside counsel. Add the stress and anxiety of a law enforcement investigation with potential criminal charges, a potential criminal record, or the loss of your freedom looming over you and you’d be foolish to not inquire with a criminal defense attorney. If you are contacted by an investigator or by law enforcement person as the subject of an elder abuse investigation, the first thing you should do is reserve your right to REMAIN SILENT. Any statement you voluntarily provide to law enforcement, will most likely be used against you. Stand your ground. Then contact and retain an experienced and knowledgeable criminal defense lawyer. Your public record and perhaps your very freedom might be at stake. Southern California Criminal Defense Attorney Vincent W. Davis is one of Southern California’s most respected criminal defense attorneys with 26-years’ experience working within the judicial system and will give you a candid assessment of your situation – but only if you call.